When Avalanche Studios announced that they were working on Just Cause 3 in November last year, it brought immediate excitement. After all, it had been almost five years since the release of the critically acclaimed Just Cause 2. In that time, no other game has quite reached the same levels of ridiculous, over the top, action-movie madness that Just Cause 2 brought to players. 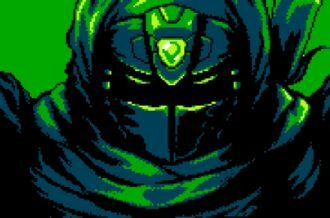 Since the announcement late last year, Avalanche have been slowly releasing information to the eager masses as we get closer to its December release. 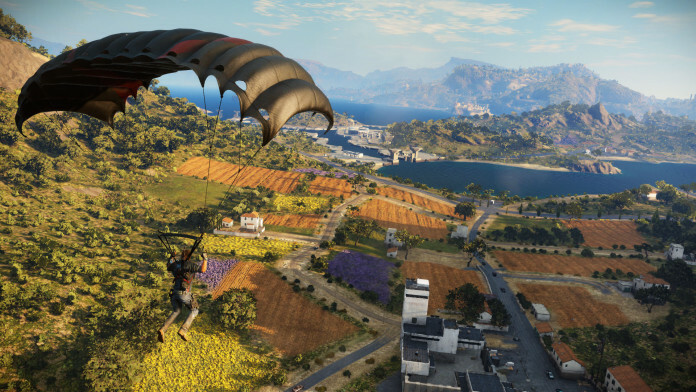 Following along the same vein as the first two games, Just Cause 3 looks to take on a whole new level of explosive, action packed, grapple hook madness. 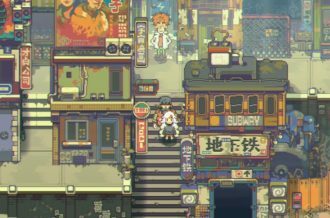 We once again take control of series protagonist Rico Rodriguez, an agent of the…uh… Agency. Codenamed Scorpio, Rico has a lot of experience in taking down harsh dictatorships, having done so in each of the previous two games. Again, he will draw upon this experience to combat yet another dictator in Just Cause 3. This time on Medici, a 1,000 km2 Mediterranean island under the rule of General Di Ravello. Rico has 1000 square kilometers to play around with, and it looks gooooood. This time, however, things are different…sort of. 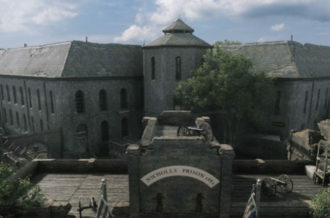 It turns out that Medici is Rico’s homeland. The place he grew up. Parents, friends, origin story stuff, you get it. As such, Just Cause 3 is leaning heavily on the well worn used trope of “This time, it’s personal.” With that said; if it works for Die Hard and Buffy the Vampire Slayer, then it should work for Just Cause…right? Apart from changes in story depth, players will have some new gadgets and abilities to help them tear Medici from Di Ravello’s grasp. 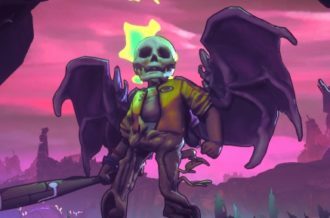 Along with the perennial parachute, Rico comes equipped with an all new wingsuit. 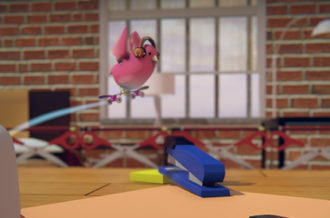 No longer limited to the parachute-grapple hook combo, players will reach new speeds in the air while once again using the grapple hook to maintain momentum and speed. This upgrade seems a natural one. In the previous games, the parachute was a great tool, although somewhat limited. With the new wingsuit, Rico has the ability to move through the environment in a more urgent manner, allowing players to string together some really nice action sequences without the drop of pace the parachute has previously been responsible for. The new wingsuit converts mundane travelling into an extreme sport. In a more grounded change, the much loved grappling hook has received some interesting buffs. Now with the ability to tether multiple objects simultaneously, it can also retract upon command, giving unprecedented potential for all manner of chaos and tomfoolery to be had. Oh, we almost forgot to mention the unlimited C4. Yeah. That’s right. Rico now has an unending supply of C4. Do we really need to say more? Destruction and physics have taken a big leap forward, seemingly inspired by titles such as the Red Faction series; the environment breaks in what feels like a natural way. Towers and bridges crumble, walls explode and statues facepalm themselves into oblivion (by way of a well placed grapple hook and retraction); all contributing to the action to give Just Cause 3 an incredibly high impact tone. 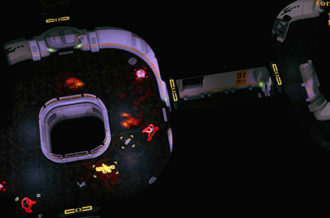 Debris flies past Rico as he detonates a batch of C4 before gliding between crumbling radio towers as they fall in a destructive cascade, shattering a bridge below in a chain reaction of sweet, sweet destruction. Did we mention unlimited C4? 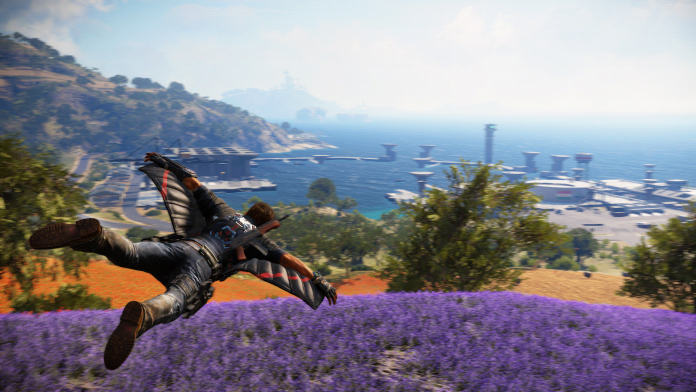 Lesterlin comments on the dynamism of the environment in Just Cause 3, saying “The destruction is a joyful response of reactivity in the world”. Although perhaps overly poetic, the point is clear. The world reacts, stuff explodes and we get to have a good time. Sounds pretty good to me. 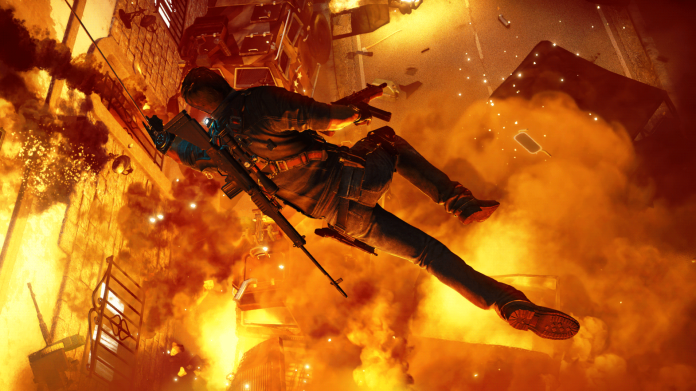 Just Cause 3 seems like the next logical step for the much vaunted series. Possessing more grapple hooks, explosives (UNLIMITED C4!!!) 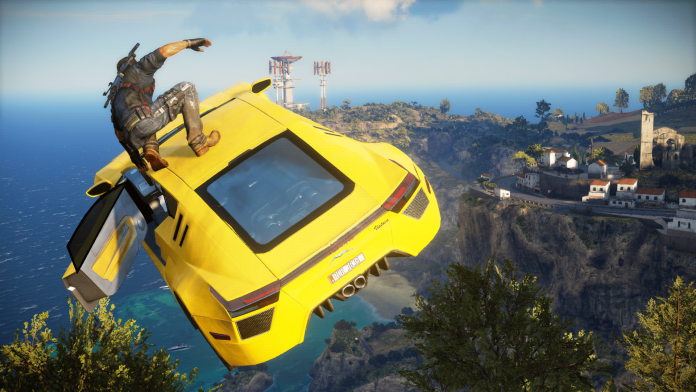 and all around more awesomeness; Just Cause 3 looks insanely fun. In fact, one could almost say that Just Cause 3 is definitely a just cause for excitement. Heh.